As I am assembling my “Good Fortune” blocks into rows and ultimately a quilt top, I am learning many things about quilting. I listed some of those in my last post. However, I have to admit that I am learning even more about myself. In the posting of these blogs, and in the viewing the progress of others, I am reminded of what comparing myself to others can bring out of me. 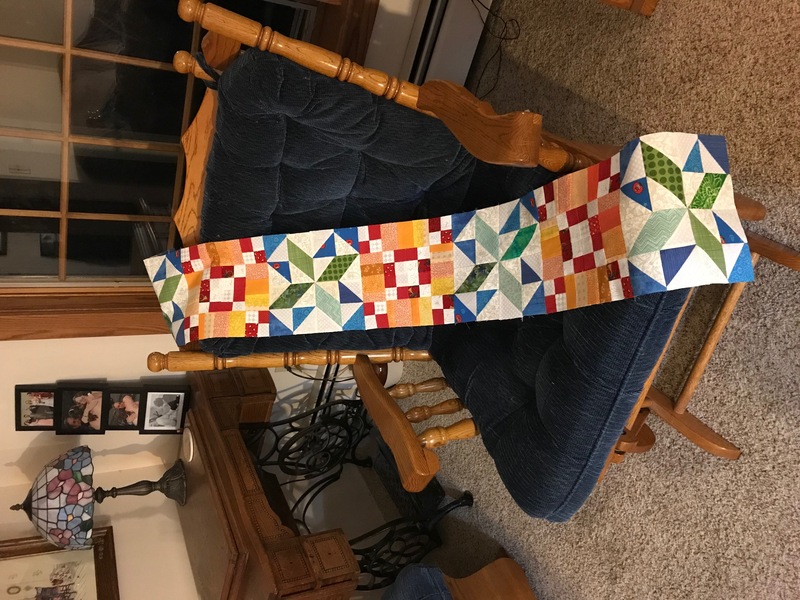 You see, at the time I am writing this, I am seeing many photos online of totally finished quilt tops, complete with the beautiful borders that have been designed for them. They are carefully laid out and photographed, with not a flaw to be seen. Then I think of all the time I have spent with my seam ripper over the past couple of weeks, because in my haste to keep up with all the progress I am hearing about others making, I have made mistakes. And I have been so busy trying to keep up, I haven’t even noticed my mistakes until I had to put it all together. And it would not fit. So rip out I did, because in order to make this beautiful quilt, it all has to fit. Does that mean I am inferior? Why can’t I be fast like the others? Should I just pack it up and quit? What I am forgetting, is that I only see what is happening in my life. I only know the thoughts that go through my mind. (And now you do too! ) I don’t see what others had to do to make theirs fit. I don’t see what else they were doing in their lives when they were working on theirs. I don’t see the flaws hidden in a fold of the top. I only see what they are allowing me to see. And so it is with all of life. Life is a process, a journey. You and I have to pursue that journey, learning as we go, ripping out the mistakes and starting over when needed. Moving forward when we have no idea what all these pieces are going to look like when it is completed. And most of all, relaxing and enjoying the journey, taking time to relish the learning, pass it along to others, and enjoy their company. We have to remember that only we know what is in our minds. And we can not judge others, because we do not see their fears, their thoughts, their insecurities. We only see our own. Thank you for joining in the journey of “Good Fortune” with me. I hope you have been inspired to try something new, taking it one step at a time and trusting the process. There is still time to download the instructions for this quilt from the “Good Fortune” website. And by the way, I have assembled this one row. I have many other bits and pieces together, but I am not sharing what they are. And that is okay with me! It is beautiful and I am enjoying the process. Previous post: “Good Fortune” is Revealed!